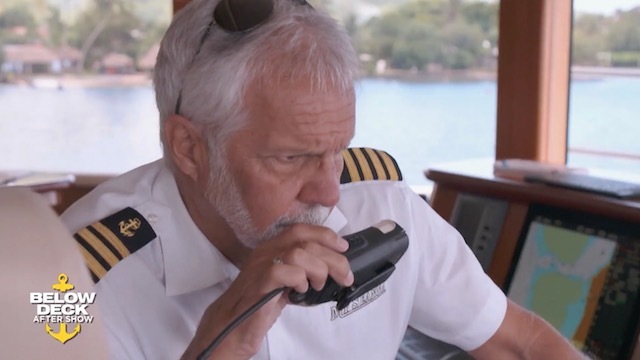 Captain Lee Rosbach structures his blogs as a critique of each Below Deck crew member. He addresses each person directly and gives them a paragraph worth of wisdom. The length depends on how off that person is from Captain Lee’s expectations of an ideal employee. On this week’s blog, Captain Lee FORGOT TO INCLUDE JOSIAH CARTER!!! All that sweet boy got was a passing mention in Kate Chastain’s paragraph. It’s as if he is just becoming an extension of Kate. Perhaps in reality TV land Josiah has done everything wrong. He’s perfectly trained, refined, focused, and non-combative. He only gossips in with Kate in her lair. I say Josiah deserves his OWN paragraph! On last night’s Below Deck the crew dealt with a shocking realization. Ashton Pienaar’s fall overboard wasn’t just a dramatic television moment, but that he could’ve lost his life! Ashton went off the back of the swim platform after stepping into a tow line which wrapped around his ankle. It was exactly like a movie, but this was actual reality and Bravo editing magic had nothing to do with the events! As Captain Lee Rosbach explained while choking up, Ashton was “within 30 seconds” of losing his life, or at the very least his foot! The most surprising revelation, however, was that Ashton owes his life (and the continuation of his defined tricep muscles) to the rapid reaction of a Below Deck cameraman named Brent. He literally threw down his camera, raced to the side of the boat, and untangled the lines to give Ashton more time, which set him free to swim to the tender to wait until they were in safer water to bring him in! Maybe Brent should be bosun. Something tells me Rhylee Gerber wouldn’t be talking to him with a nasty attitude! On this week’s Below Deck, it seems as if the arrival of the new third stew Laura Betancourt started a sexual awaking of sorts onboard My Seanna. As if she brought a Canadian jet stream with her down to Tahiti. The kind of cool and crisp air that makes a person look up from their work and say, “Hey, you’re attractive.” That, or if you give a group of people enough time to drink heavily, something is bound to take root. A far more likely scenario, but less poetic. 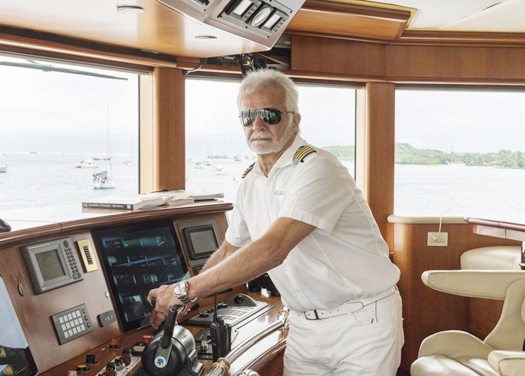 Captain Lee Rosbach’s blog was brief this week, but as always, packed a punch. 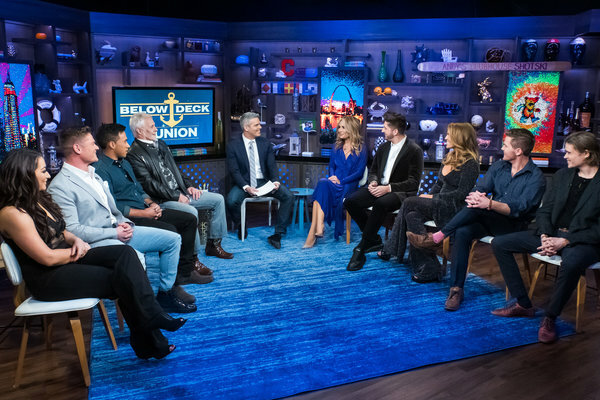 The Below Deck Captain was in New York earlier this week to appear on Watch What Happens Live. So he had less time to prepare, but still made his critiques very clear. We wouldn’t expect any less of him!